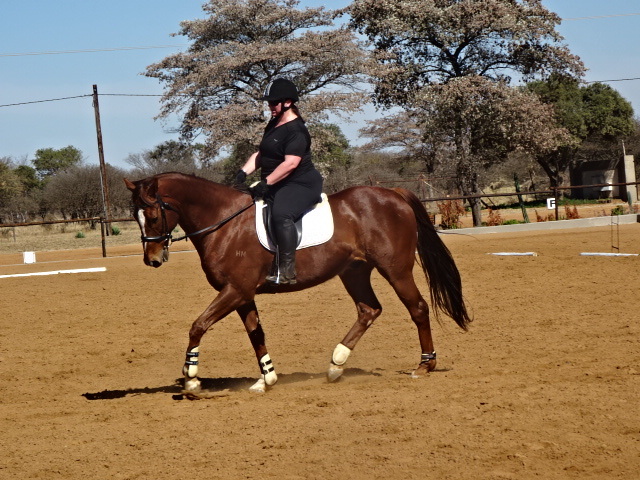 A Dressage Clinic was held on 20th/21st/22nd/23rd July, 2018, at four different venues in Gaborone. The venues chosen were Herbie’s Haven Stables and Havenspride Stud, Penndragon Equestrian Centre, Stone Ridge Stables and Notwane Equestrian Centre. All the arenas were raked and watered and were in excellent condition for Andrea’s much anticipated arrival. The Horse Society of Botswana generously sponsored Andrea’s return air flight from South Africa so that Andrea could come and impart her wisdom across the border. She certainly made the trip worthwhile for all who attended, starting teaching at 7am at each venue. She continued to teach throughout each day in cool temperatures with glorious winter sunshine. This clinic was perfectly timed for the upcoming FEI World Dressage Challenge which will be held at Notwane Equestrian Centre on 27th/28th/29th July. 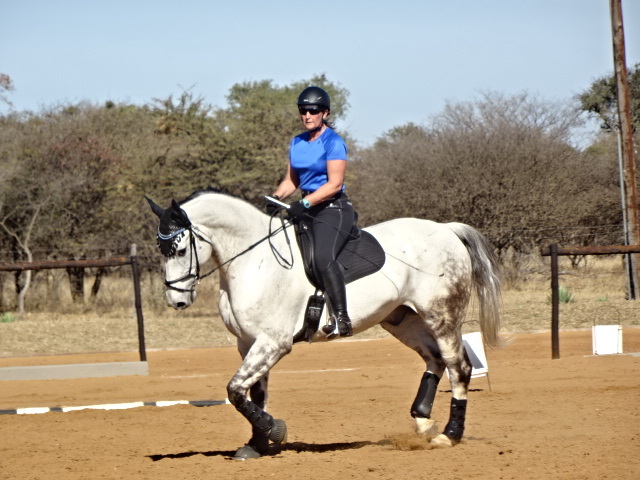 On Saturday late morning and all of Sunday morning Andrea gave lessons at Notwane Equestrian Centre in order for the horses and riders in the Challenge to ride at the show venue. 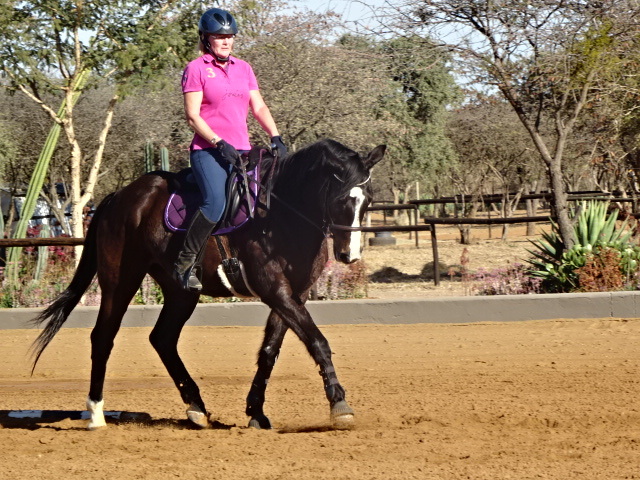 Andrea Harrison has been instructing in the discipline of dressage in Botswana since 2013. She trained in Germany for six years. During this time she was competing for South Africa. She has Protea Colours and SAEA gold, silver and bronze badges. She also won her Provincial Gauteng Colours and has been selected on a number of occasions to represent Gauteng. She is inspired by teaching dressage at all levels and to all ages and always hopes to help her clients to achieve their fullest potential. Andrea has her own yard in Glenferness, Kyalami, where she has twenty-four horses, mostly owned by clients whom she trains and teaches. Andrea is a regular competitor on many horses at the big shows in South Africa. Thank you to all those enthusiastic riders who brought their horses to the clinic. Special mention must go to Jan Marie Alberts who travelled six hours from Francistown and Enge Smit who travelled all the way from the Tuli Block on the eastern Botswana border to attend the clinic. 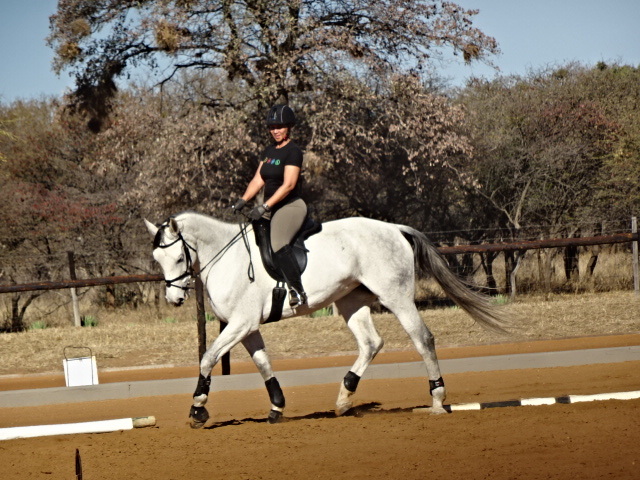 The post A report on Andrea Harrison’s dressage clinic in Botswana appeared first on HQ Magazine.